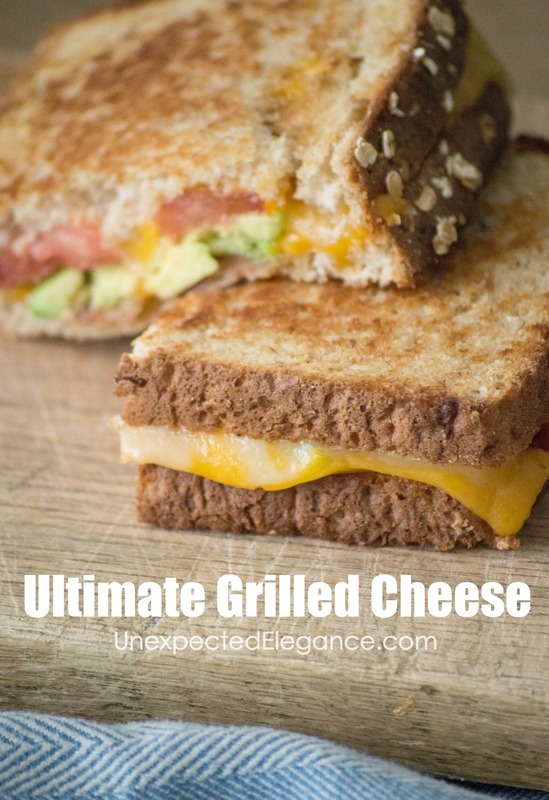 Grilled cheese takes me back to my childhood, what about you? I ate a LOT of them growing up, so today I thought I would share my “adult” version. This take on a classic is SO delicious and even my kids love it. It really isn’t a recipe, but more of an assembly! 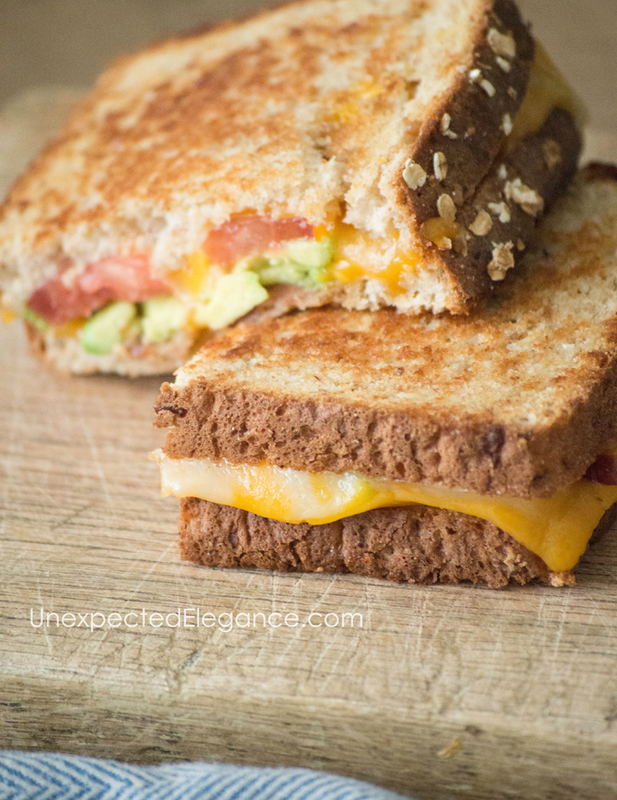 The most important ingredient in this sandwich is the cheese! A few years ago, I decided to start researching food and what we were putting into our bodies. I was honestly shocked at ALL the artificial ingredients in most of the foods we were eating. I was even more baffled that the “cheese” I had been using for years (Pasteurized Process Cheese Food, known as American singles) is only required to contain 51% real cheese…yuck! I’m a cheese person. I love it on just about anything, so I needed to find a brand that only used natural ingredients. I love the Sargento® brand. In my opinion, the second most important ingredient is the bread! I like to use one that has whole seeds and grains. Butter two slices of bread only on one side. Place them butter side down on a medium temperature skillet. On one piece, put two slices of Colby jack and the other piece of bread add two slices of cheddar. 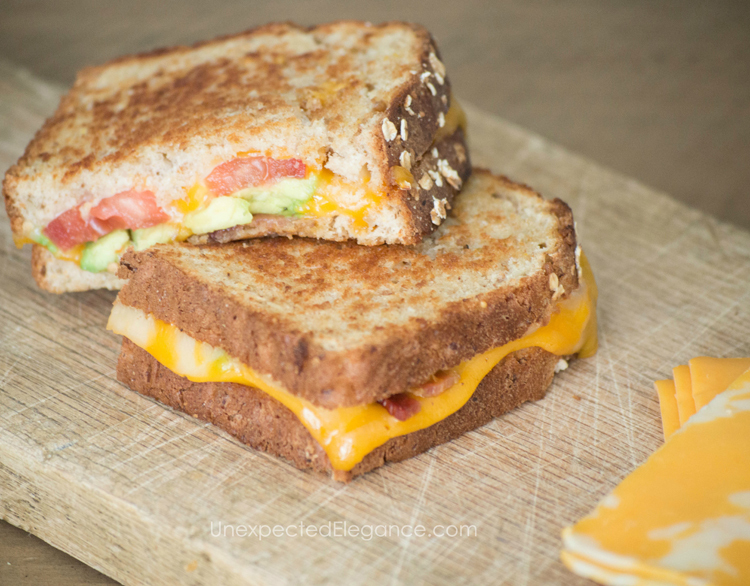 Once the cheese starts to melt slightly, add two slices of bacon, 1-2 slices of tomato, and a layer of avocado to just one side. 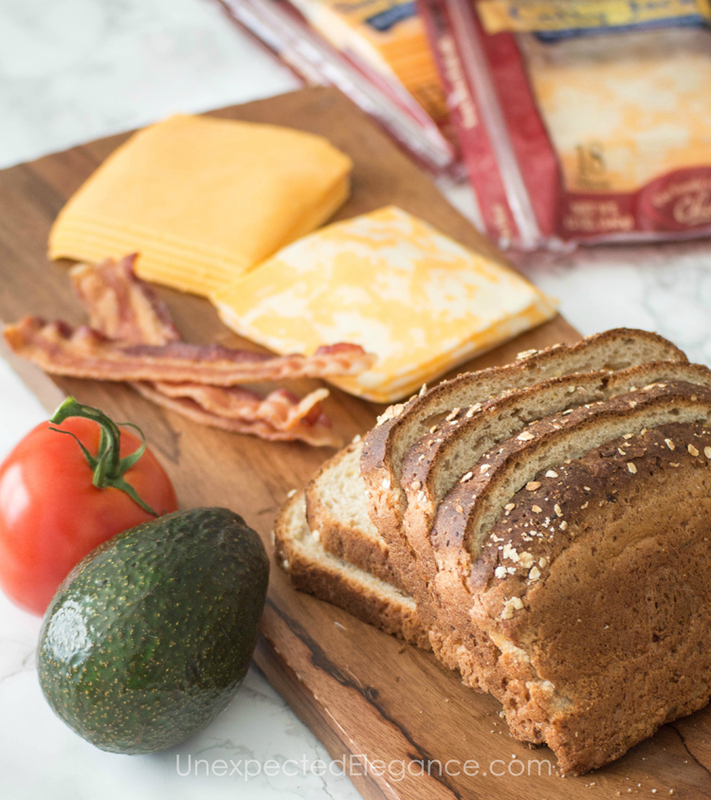 When the bread is a golden brown, put the side with the cheese only on top of the side with the bacon, tomato and avocado. TIP: If you are making more than one sandwich, it’s best to set up an assembly line. These cook really fast, which makes them an easy dinner option. If you have a kid (or an adult) who doesn’t like one of the ingredients, just leave it out on their sandwich…it’s really that easy!